She was born to a feral cat under the house of a friend of my wife so Scout was one of the rare pets where we knew her exact birthday. She was perfection, this little one. Cancer stole her from us just over 5 years ago. 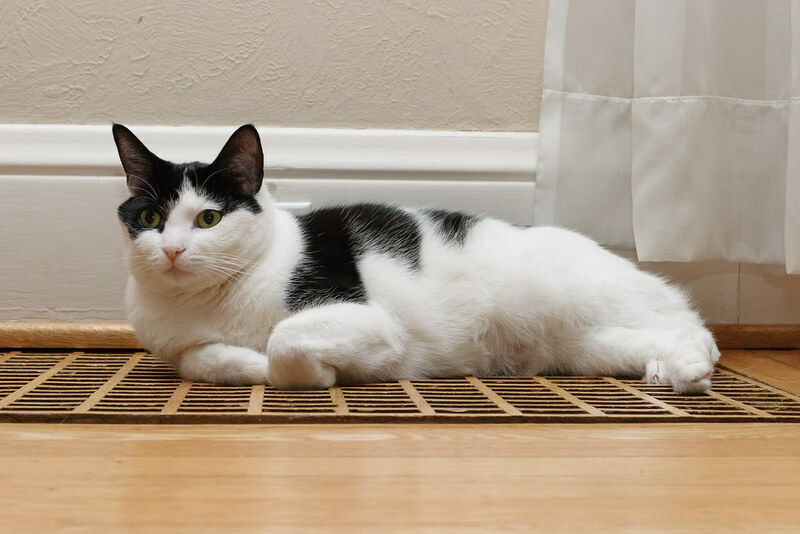 This entry was posted in Pets and tagged black-and-white cat, cat, hardwood, heating vent, resting, Scout. Bookmark the permalink.